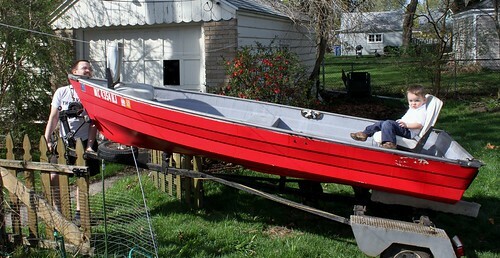 12' Red Fiberglass Rowboat for sale. Comes with trailer. $500.